Cape Town - Mobile operator MTN is driving feature phone users to the internet at lower cost. MTN on Wednesday introduced a SurferLite pilot project that aims to roll out internet access to phones that do not currently access data services. "The MTN SurferLite application provides an introductory data service to the digital world to customers by delivering an affordable experience that allows non-internet-customers access to content that is otherwise only available on an internet enabled phone," said Peter Malebye, MTN SA general manager. Feature phone users generally have a poorer internet experience than smartphone users as the devices with smaller displays are not easily able to display mobile web content. 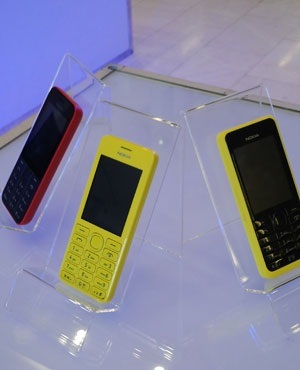 However, some feature phones like the Nokia Asha range are able to produce reasonable access to the internet. Also, the cost of smartphones continues to decline, especially at lower price points. The Huawei 858 retails for around R399 from an initial retail price of R799. Samsung's upgraded Galaxy Pocket smartphone is available for around R1 000. For many users, though, the cost of data remains a stumbling block and junior operator Cell C offers data at 15c per megabyte. While the expansion of the internet would no doubt enhance the mobile experience for cellphone users, spectrum for true broadband continues to hurt the mobile economy. According to the Sub-Saharan Africa Mobile Economy 2013 report by the GSM Association, SA leads the 3G penetration rate in the region with 39.3%, more than double the developing market average of 17.3%. But despite that there remains work to be done in expanding mobile access and services. "There's a misunderstanding or misperception of the part of many policymakers. When they discuss mobile penetration, there's this idea that mobile penetration has reached 60%, 70% 80% - 90% in some countries therefore the work needed to stimulate growth is finished at now the focus should be on milking the industry for tax revenues and what not," Peter Lyons, director of Public Policy Africa Middle East at the GSM Association told News24. The delay in awarding mobile broadband spectrum is a cause for concern. Both MTN and Vodacom have begun rolling out higher speed LTE (Long Term Evolution) networks, but the lack of spectrum severely limits these services to urban centres, particularly as data grows. "The big thing for us is that data traffic in South Africa is growing by 70% year-on-year so we need the additional capacity to be able to offload the 3G network and further improve the customer experience," said Vodacom CEO Shameel Joosub. The new minister of communications recently hinted that the government would be moving faster in the area of mobile broadband and he has submitted the Draft National Broadband Policy to Cabinet. "The next crucial step is to replicate the mobile miracle for broadband in South Africa. Most of our population still have no access to the internet at all, let alone a broadband connection," said Minister Yunus Carrim at the Southern Africa Telecommunication Networks and Applications Conference.